The two types of pumps are centrifugal pumps and positive displacement pumps. 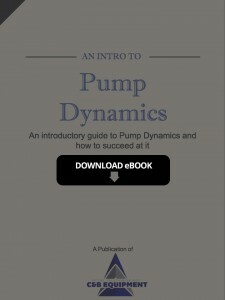 In this chapter we will talk about the differences between the two pump types. Industrial pumps are used to pump countless types of materials from oils, fertilizers, fats, etc to their respective destinations. This chapter discusses the build up and break down points of pumping these materials. In this chapter we will explain shaft dynamics and the effects of misapplied applications to industrial pumps. When figuring out how to measure pump curves, you must first know how to find the suction, discharge and impeller diameter. Several things can go wrong when pumping fluids. In this chapter we’ll examine some of the scenarios that might need trouble-shooting and talk address why these problems are occurring.